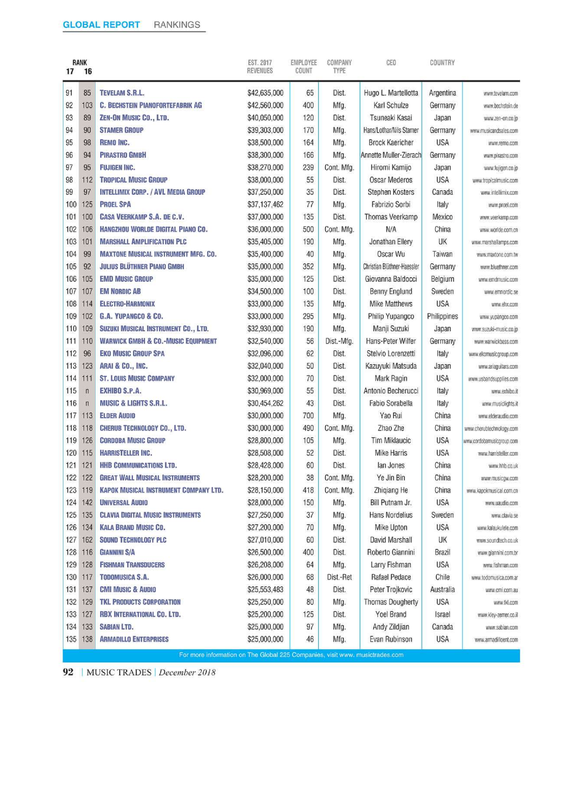 According to the roster of the Global 255 Ranking in the newest Music Trades Magazine, December 2018 Issue, Cherub Technology is ranked 118th worldwide, and 14th in China. On the occasion of thanksgiving, we sincerely thank you for your love and support. Thank you and happy holidays!